To learn more, download the About Wisconsin Farm Bureau book. The Annual Report highlights what Wisconsin Farm Bureau worked on over the past year. This report highlights ongoing projects and new initiatives being conducted on behalf of WFBF members to promote and protect Wisconsin agriculture. Lead a growing and dynamic agriculture. Lead the farm and rural community through legislative representation, education, public relations, leadership development and providing services and benefits to members. Originally founded by Wisconsin Farm Bureau Federation members who wanted an easier way to access insurance, Rural Mutual has strong ties to Wisconsin’s farmers. Today, the company offers a full line of insurance products with more than 150 agents in 100 locations across the state. The company has been headquartered in Madison, since it started operations in 1934. Farm Bureau members have exclusive access to Rural Mutual Insurance as a member benefit. Visit the Rural Mutual Insurance Company website to learn more. GROWMARK is an agricultural cooperative providing agronomy, energy, facility planning, and logistics products and services, as well as grain marketing and risk management services in more than 40 states and Ontario, Canada. GROWMARK owns the FS trademark, which is used by affiliated member cooperatives to serve more than 250,000 customers. FS cooperatives in Illinois, Iowa, and Wisconsin still make up GROWMARK’s core membership. 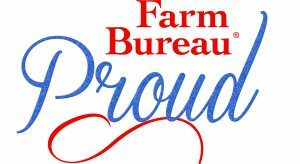 Farm Bureau members who are agricultural producers and patrons of their local FS cooperative are eligible to receive patronage dividends when patronage is paid. Visit the GROWMARK website to learn more.